Alpharetta GA Homes for Sale on 2 to 5 Acres. Search MLS listings of Alpharetta for homes for sale on 2 to 5 Acres lots. Alpharetta GA homes for sale on two to five acres homesite lots North Fulton County Georgia. Alpharetta Luxury homes for sale on acreage. Alpharetta GA Homes for Sale on 2 to 5 Acres. If you are looking for privacy or a luxury estate you are probably looking for homes for sale on acreage in the 2 to 5 acre lot size. There are quite a few home sites like this in the Alpharetta area. On this page, it is designed to allow you to search MLS for homes for sale in Alpharetta in North Fulton County on 2 to 5 Acres lots. 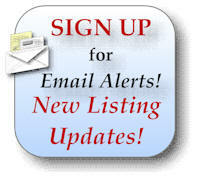 If you are buying or selling a home in Alpharetta on acreage, please do not hesitate to contact us. It would be out pleasure to assist you in buying or selling a home in Alpharetta GA, Milton, Johns Creek, South Forsyth, Duluth, East Cobb or Cherokee County GA.